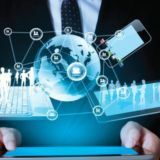 The multi-trillion dollar services industry in the United States is undergoing a massive shift in how business is performed. A primary driver of change in the industry are service marketplaces. Service marketplace platforms connect individuals who can provide a service with individuals who need that particular service. Many of these businesses have become household names like Uber & Airbnb and are followed by up-and-comers like Instacart & Postmates. You can read more about platforms here. A paramount threat to the success of every service marketplace is Platform Leakage. 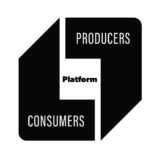 plat-form leak-age /plætfɔrm likəǰ/ n 1 when a platform’s consumers and producers complete a transaction outside of the platform; I wish my platform didn’t suffer from platform leakage, I’m not earning any revenue when a transaction occurs outside of my platform. The inventory being exchanged in any services marketplace is time. The consumer is booking the producer’s time to perform a service. And, the platform needs to help manage its producers’ availability so that consumers can pay for a producer’s services at the appropriate date and time of day. In a commoditized services marketplace, the consumer doesn’t care as much about the specific producer performing the service. Instead, the consumer trusts that the platform will provide a human capable of performing quality work at a set rate. This is a great example of Uber, Instacart or Postmates. However, in a non-commoditized services marketplace, the consumers care more about the specific producer they are booking. In Airbnb, every home has a unique experience. In Zeel, your masseuse may know the right way to alleviate your pain better than any other masseuse. In Zocdoc, you want to pick the doctor that can solve your need. In Elance, you want to choose the right designer or developer for your project. Same thing with Priori or Upwork to pick the right lawyer for your case. For more on the distinction between commoditized and non-commoditized, reference this article. Two-sided marketplaces provide a clear value. During the initial matchmaking process, platforms provide liquidity to the consumer by providing them with a variety of candidates to meet their service needs. The platform provides rules & standards to vet the producers and provide assurances that they are trustworthy. The consumer has software and tools to filter and refine their needs so they can easily identify the right producer. However, a platform’s value proposition isn’t as strong when you think about the 2nd or 3rd booking. At this point, the consumer has already worked with the producer. Assuming they like the producer, they probably want to use that same producer for the next appointment/job. If the platform passes on the costs of booking unto the consumer like in the case of Airbnb and Priori, then schedule management alone probably isn’t sufficient to warrant the increased cost to the consumer. Similarly, if the producer has to pay a premium like in Airbnb, Zeel and Elance’s case, then the producer has an incentive to book their appointments outside of the platform. eLance advertises the amount of money made through the platform, your user rating, number of jobs performed, etc. Take a page out product marketplaces like Etsy and provide marketing services to allow super producers or your best service providers to pay for increased exposure to increase business. 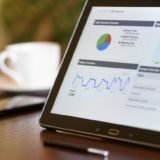 Provide better consumer data to producers to enhance their marketing outreach.